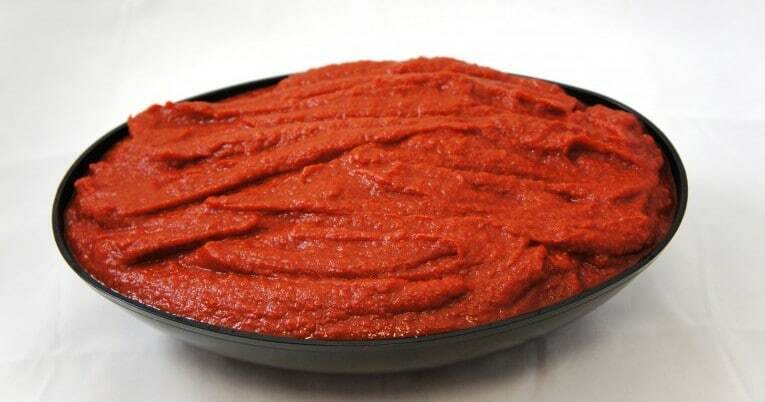 Super heavy concentrated crushed from round tomatoes is a non-standardized product. It has a coarse finish and may contain seed particle and occasionally whole seeds. The product is hot filled to ensure commercial sterility, then cooled prior to stacking. IT has a bright red color.